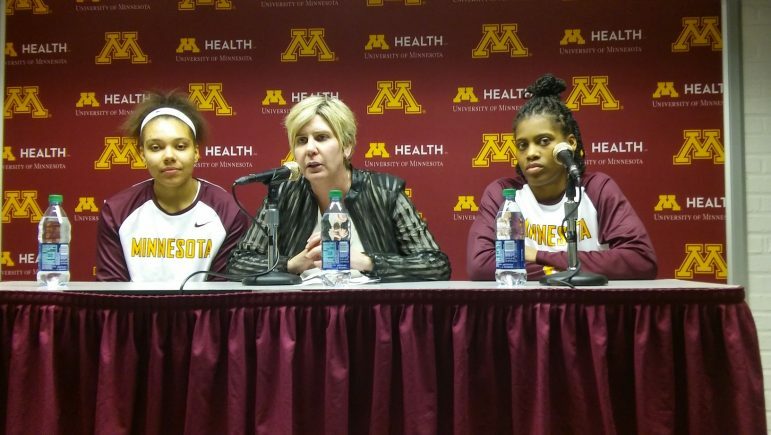 A scheduling quirk has the Minnesota Gophers women’s basketball team off until next week. The Gophers improved to 16-5 (5-3, Big Ten) after a five-point win Sunday over Iowa at Williams Arena. After their “bye” week, Minnesota’s next game is on the road January 31 at Wisconsin, followed by a rematch at Iowa (February 4) and at Purdue (February 8). Sunday’s victory was the U of M’s first this season over a top-20 club —the Hawkeyes at the time were ranked 20th. Minnesota is 1-2 against ranked clubs thus far. Coach Marlene Stollings told reporters afterward, including the MSR, that the win could help them in post-season bid arguments. “The last time we upset a top-25 team was Ohio State [a two-point overtime win over then-number-five Buckeyes in February 2016],” Stollings recalled. “It felt really good to get another top-25 win. “We have two more top-25 teams coming here in February. Those are exciting opportunities for us. 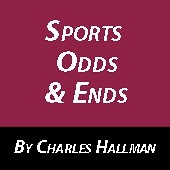 Our goal is to not just go to the tournament, but to go far,” Stollings said. Junior guard Kenisha Bell continues to shine for the Gophers — she led the U of M on Sunday with 21 points and a game-high 11 rebounds. “Her desire and heart is to want to win the game. I never saw her waver one ounce,” Stollings praised the 5’-9” guard. Bell, the team’s leading scorer at 19 ppg, also averages five boards a game this season, one of four Minnesota players averaging at least five caroms. Minnesota is second in the nation and first among Power 5 schools in rebounds this season. When asked about the “bye” week, Bell told the MSR she and her teammates will take a couple of days off, then get back in the gym and “take shots at game speed,” the guard explained. “I think this is a good time for us to get our rest. I think this week will be huge for us” as the team prepares for the stretch run, freshman guard-forward Destiny Pitts added. She is the team’s rebounding leader with eight a game. She had 11 points and three blocks in Sunday’s win. Minnesota returns to finish up their home portion of the schedule on February 11. “I want them to rest and recover so we can get after it in February,” said Stollings. Natasha Howard (Zhejiang) and Sylvia Fowles (Beijing) face each other in the first game of the WCBA quarterfinals early Wednesday morning (5:30 am Twin Cities time). It is the only time this week where two Lynx teammates are pitted as opponents in the same contest. In recent action: Renee Montgomery had eight assists in a win for Maccabi Ramat Hen. Alexis Jones scored 13 points and grabbed eight boards for Elitzur Ramia in a winning effort. Maya Moore (UMMC Ekaterinburg) had 10 points and eight rebounds along with four assists and two steals in a victory as well. Temi Fagbenie posted a double-double (16 points, 12 rebounds) in a Polish Cup semifinal defeat for CCC Polkowice. And Howard’s stat line in a losing effort was nine points, 10 rebounds, five assists, two steals and a block for her Chinese club.